I love that all the food we cooked for this year’s Passover Sedar, we cooked as a family! Such a sweet day with the four of us! Most of the recipes we made were also great for year round. 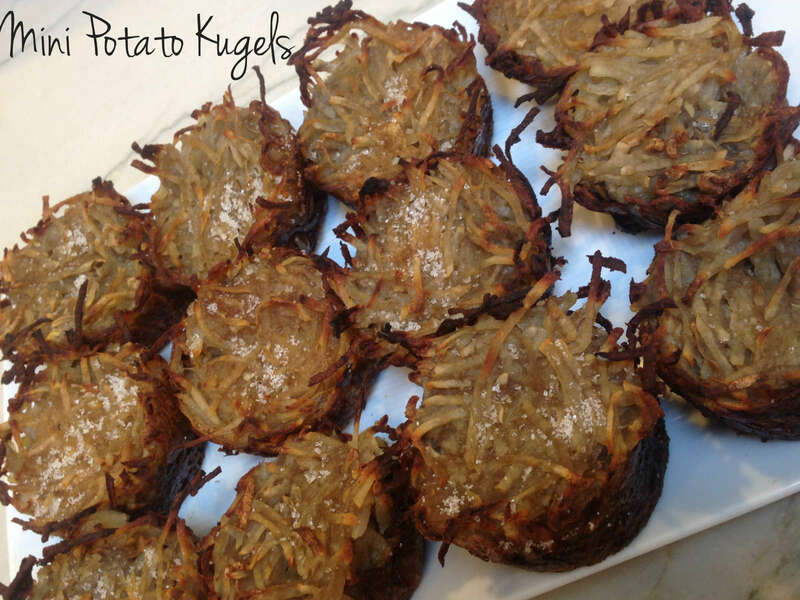 In searching for some kiddo & adult friendly Passover recipes I found this one for Mini Potato Kugels. They are perfect little cups of fried onions and potatoes, so really yummy handheld hash browns 🙂 My kids really liked them (even raw as we were making them) and pressing them into the muffin tins! Plus it was super fun for both of the kiddos to take turns pressing the on/off switch on the food processor to grate these. Saute the grated onion in 2 Tablespoons of the olive oil until soft but not brown. Add paprika. Mix onions into the potatoes and add potato starch and 1 more Tablespoon olive oil.